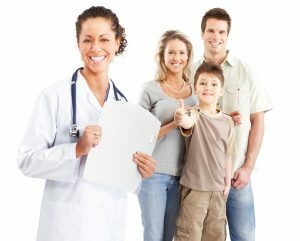 If you are searching for a family medicine practice near Costa Mesa, California, Vital Urgent Care is just the place. In addition to our immediate care services, we also offer expert and compassionate primary care services by appointment for the entire family. Our physicians, husband and wife team Dr. Khazaeizadeh and Dr. Sedarati, are Yale trained and Board Certified in Internal Medicine. They have experience treating a wide array of conditions for patients of all ages. In addition to treating chronic conditions at their family medicine practice, Doctors Sedarati Khazaeizadeh are also passionate about nutrition, and can advise Costa Mesa residents on how to achieve a healthy weight and enjoy a healthy lifestyle in order to prevent conditions from arising. Plus, because we are also an urgent care clinic, if a non-emergency condition arises that you would like immediate treatment for, such as an eye infection or ankle sprain, you can stop by our clinic at any time without an appointment and receive treatment from the same caring staff you already know through your family medicine services. To learn more about the family medicine services we provide, contact us today. Or, if you would like to be seen today for a non-life threatening condition, simply stop by our clinic, or schedule yourself in the next available slot using our online ZipPASS system. We happily serve residents of Costa Mesa, CA, and the surrounding areas.